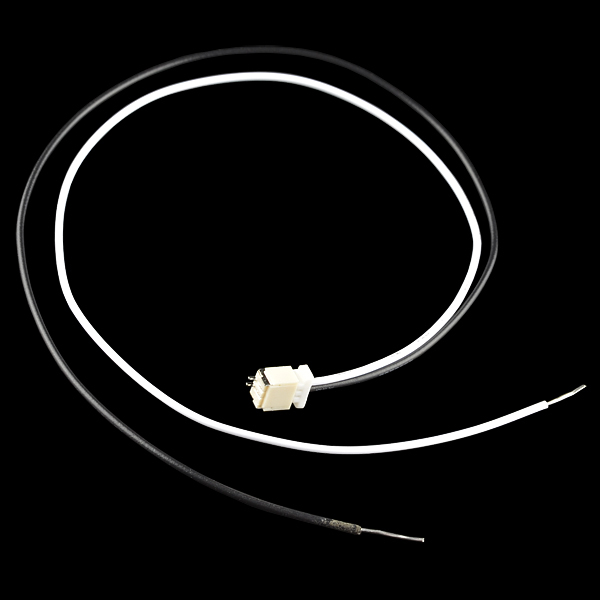 This is a simple two wire cable. Great for jumping from board to board or just about anything else. These cables mate with the connectors listed below. They have bare wires on one end and a 2-pin JST SH connector on the other end with a mating socket. 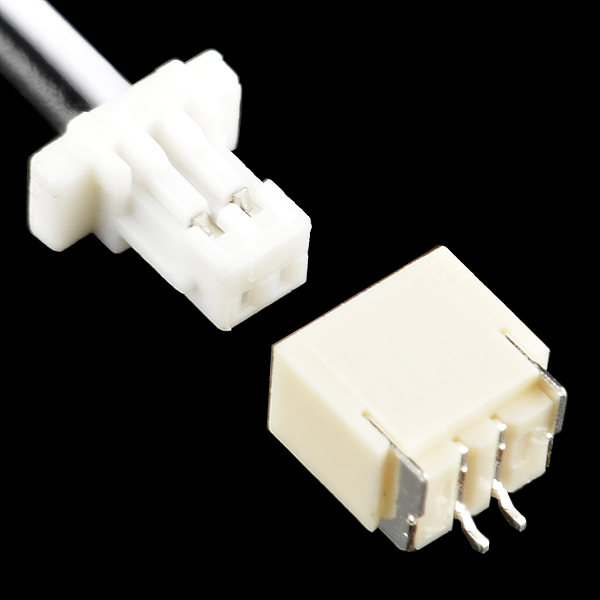 Perhaps you could find a wire-terminated female JST connector and make a female-JST to male-JST adapter. Wait, so does it have the plug and the socket, or just the plug? Will the end of these wires connect to your Li-Po charger sockets? No- these are 1mm spaced pins and the Li-Po batteries/chargers use the 2mm spaced connectors.